John James Stropko was born September 17th, 1940 in Cleveland, Ohio, the oldest of four children. 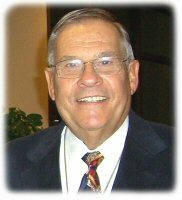 He graduated in 1958 from Cathedral Latin High School in Cleveland, and completed his pre-dental studies at St. Joseph's College, Rensselaer, Indiana in 1960. He was accepted into the Doctor of Dentistry program at Indiana University School of Dentistry, I.U. Medical Center, Indianapolis, Indiana, and was awarded a Doctor of Dental Surgery degree in 1964. Immediately after graduation, Dr. Stropko enlisted as a captain in the USAF Dental Corp. and was stationed at Lincoln AF Base, Lincoln, Nebraska. In 1966, after satisfying his military obligation, he started the private practice of dentistry in Monticello, Indiana. After several Indiana winters, Dr. Stropko moved to Tucson, Arizona in 1972, and at that time, limited his practice of general dentistry to adults. From 1982 to 1987, his practice was then further limited to Restorative and Prosthetic Dentistry. In 1987, after 24 years of both general and adult dental private practice, Dr. Stropko applied to, and was accepted into the prestigious Boston University Graduate Endodontic residency program in Boston, Massachusetts. His mentor for the next two years would be the famous teacher and endodontic pioneer, Dr. Herbert Schilder. Dr. Schilder is still recognized today as the father of modern endodontics and his teachings have formed the basis of what is currently being taught internationally. Dr. Stropko received his Certificate of Endodontics in June of 1989 and started his first practice, limited to the specialty of endodontics, in Prescott, Arizona. In May of 1991, during an Endodontic Surgery seminar, given by Dr. Cliff Ruddle of Santa Barbara, California, he was introduced to the Surgical Operating Microscope (SOM) by Dr. Gary Carr of San Diego, California. Dr. Carr is commonly referred to as the father of micro-endodontics and the founder of the Pacific Endodontic Research Foundation (PERF). Within a month, Dr. Stropko had the first SOM in the Southwest, and assisted by his wife, Barbara, began performing endodontic microsurgery on a routine basis in his Prescott AZ office. That was the beginning of a passionate interest in micro-endodontics. Within a short time, Dr. Stropko was in demand as a lecturer, teacher, and author of the subject. From 1991 to 1995, he and Barbara, made regular visits to PERF, helping Dr. Carr teach endodontic specialists from many countries around the world, on the use of the SOM while treating patients. As a visiting Clinical Instructor at PERF, Dr. Stropko had the unique opportunity of showing many endodontic specialists the SOM, helping them to achieve the highest level of endodontic treatment possible. At the same time, Barbara, would teach the doctor's assistants how to assist their doctors while they were using the SOM. During 1993-94, Dr. Stropko invented and developed an innovative instrument, the Stropko Irrigator (SI). It received a US patent in January, 1995. The SI enabled more efficient use of the SOM during micro-endodontic procedures by allowing the doctor to use a regulated and precise flow of water, or air, to clean and/or dry the working area. The SI has not only become an instrument in demand by endodontists worldwide, but is also being used by general dentists to make all dental procedures easier. Then in 1995, his mentor, Dr. Herb Shilder, asked Dr. Stropko to start the Micro-Endodontic program at Boston University. As an Adjunct Assistant Professor at Boston University, he and Barbara made regular visits to BU, giving numerous lectures and live microsurgical demonstrations to the graduate endodontic residents until late 1998. In September of 1996, Dr. Stropko and his family left Prescott and relocated to Anchorage, Alaska to start another practice Limited to MicroEndodontics. While there, he wrote a segment of his own 10 year research on "in-vivo root canal morphology", involving over 7200 teeth and 20,000 canals. It is the largest clinical morphology study ever done, and was published June 1998, in the prestigious Journal of Endodontics (JOE). Living in Alaska was a great experience, but by then he was asked to lecture both nationally and internationally, and travel from Alaska became very demanding of his time. The most important motivator of their decision to leave beautiful Alaska, and move back to the warm desert, were the long, cold winters. So, in 1999, Dr. Stropko sold his Alaska practice, moved to Scottsdale, Arizona and started his final private practice, called the Center for MicroSurgical Endodontics (CMSE). After the practice was established, and time permitted, he started giving endodontic courses for both specialists and general dentists to help them improve their own endodontic techniques. In 2001, Dr. Stropko, with a friend and colleague, Dr. Joseph Dovgan, co-founded Clinical Endodontic Seminars; a clinically oriented, continuing education program, given at CSME. They presented numerous seminars annually until 2007. Also, during this time, Dr. Stropko began as a visiting lecturer for Apical Micro-Surgery to the Grad Endodontic Residents at Loma Linda University, teaching the endodontic residents current microsurgical techniques. This commitment is still on his schedule. Also during this period, Dr. Stropko was honored to write the chapter regarding "Root-end management: resection, cavity preparation, and material placement", p. 131-151, for the Volume 11, July 2005, edition of Endodontic Topics, "Endodontic Apical Surgery: A Delineation of Contemporary Concepts", published by Blackwell Munksgaard. In 2006, he was asked by Dr. Cliff Ruddle to be on the endodontic faculty, in charge of the MicroSurgery courses, at the Scottsdale Center for Dentistry, Scottsdale, Arizona. He did this until 2008 when the SCD changed course direction. During this same time, Dr. Stropko was asked to write the MicroSurgery chapter in Dr. Arnaldo Castellucci's new endodontic 3 volume textbook, "Endodontics". "Micro-Surgical Endodontics", Vol. III, Chapter 34, pp. 1076-1145. It was published in 2009, and is available in both English and Italian translations. Dr. Stropko presented many lectures and authored numerous publications during this period. But, finally, the year 2007 was time to think about the possibility of retiring from private practice. He sold his practice, but stayed on for a few years. After that, he and Barbara occasionally traveled to other offices in Arizona to perform a surgery when requested. Then, from 2009-2011, Dr. Stropko worked part time with Dr. Tom McClammy at North Scottsdale Endodontics. After his last patient on the schedule in December of 2011, he turned to his wife and said, "That was our last patient --- we are done!" Yes, Dr. Stropko was finished with the practice of, but not through with the specialty of MicroEndodontics! He looked back on an incredible 50 year career in dentistry, being one of the pioneers of his endodontic specialty, and now realized he had so much to share. Several publications, lectures, and teaching opportunities have been part of his "retirement" years, and will surely continue as life permits. He has accepted the position as the Program Administrator of the Horizon Dental Institute, Scottsdale, Arizona. Dr. Stropko, and his wife, Barbara, currently reside in Prescott, Arizona.